Your Free Quote is Just Minutes Away for High Speed Internet, Satellite TV, Cable TV or VOIP for Your Business or Home. Santa Fe Internet is a division of Santa Fe Computer, a Santa Fe, NM, based company established in 2007 by Jason Feemster. 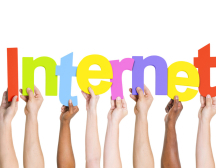 Santa Fe Internet offers a complete compliment of high speed internet services for both businesses and homes. The company has affiliate and allied relationships with companies offering the very best in high speed internet service from DSL and Cable, TV from both Cable and Satellite VOIP (voice over internet protocol). The company offers high speed internet, TV and VOIP services from companies that include Comcast, CenturyLink, DISH, DIRECTV and SimpleSignal for VOIP. Call us Today at 505-795-7253 or click here for Free Quote! Give us a few details about what you’re looking for and we’ll get back to you ASAP.